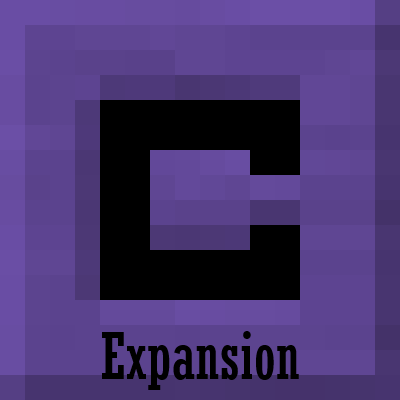 The objective is to help integrate other mods with Construct's Armory and Tinker's Construct, supplying tool and armor parts for most materials. Currently adds stats for armor parts from Construct's Armory for any material registered with Tinker's Construct. Most traits are still missing but will be implemented over time. I have to agree! Advent of Ascension integration would be very awesome! I would love that too! Advent of Ascension is a phenomenal mod! I'd appreciate it if you opened an issue on the issue tracker mentioning exactly what materials, traits and modifiers you'd like to see. Is there any way you might be able to implement Advent of Ascension materials in a future update? Sure, I can put it on the TODO list but I'd appreciate it if you opened an issue on the issue tracker mentioning exactly what materials, traits and modifiers you'd like to see. In the meantime, there’s this ContentTweaker script by Partonetrain that adds Advent of Ascension materials to Tinkers’ Construct (but not Construct’s Armory) that you can use. Fletchings for Stymphalian Bird Feathers and Amphithere Feathers, tool and arrow heads for Sea Serpent Fangs and Troll Tusks and armor parts for Shiny Scales :D and then some new modifiers and traits. Will there be some balancing and fixing up some of the Twilight Forest stuff soon? Fiery Metal is ridiculously powerful with 20 toughness and 40-ish defense. Additionally, the armor seems to only have tool traits (i.e. Twilit & Stalwart being on the Knightly armor): Will there be an update soon to fix this? The 1.1.3c build had some stat rebalance in it though it was found insufficient and as such I'll be releasing a new version today hoping to finally close that issue. As for the traits, I have no current timetable for that (and probably won't have one in the foreseeable future), I do recall there being some work on ConArm compat being done by TF's dev himself. I did not balance Dragon Bone at all ^^'' I did, however, balance all Armor materials around their vanilla counterpart. I'm planning on putting out an update later this week with a proper stat rebalance for dynamically added armor materials and refining the current calculations for Dragon Bone. MMDlib does not have a version for 1.12.2, why is MMDlib a required dependency? something is going wrong right now because MMDlib had a 1.12.2 version. Apologies, I did not realize MMDLib did not have a proper public release for MC 1.12.2. I just uploaded version 1.1.3b to account for that. This is a great mod, thanks!!!. Would you consider Ice and Fire integration, dragonbone and dragonscales as materials would be pretty awesome and the feathers of creatures(amphithere and stymphian birds) for the arrows would be pretty cool since they give arrows special abilities(also the sea serpent tooth as an arrow head). Thanks!!!! You'll be happy to know that Dragon Scales, Dragon Bones, Troll Leather, Death Worm Chitin and Myrmex Chitin will be available as materials for TiC and ConArm in the next version, as they only need proper coloring and texturing now. Annoying that I had to go into the source code to find all the mods it's compatible with. Hope I can save you all the trouble. To be fair, at it's current version, the mod will attempt to load last and any mod loaded before it will have their materials taken into account. This is why I don't maintain full list of supported mods. Also, if you check the Dependents at the top of the page you'll be able to see the official list, which is updated whenever I do something specific to support a mod. Are you ever going to make a rewrite or at least a rebalance of the mod? I really like the idea of having the possibility to use many different materials for armor, even if you don't implement their modifiers. As is now, the materials all work but require serious rebalancing. Most of them are vastly overpowered.